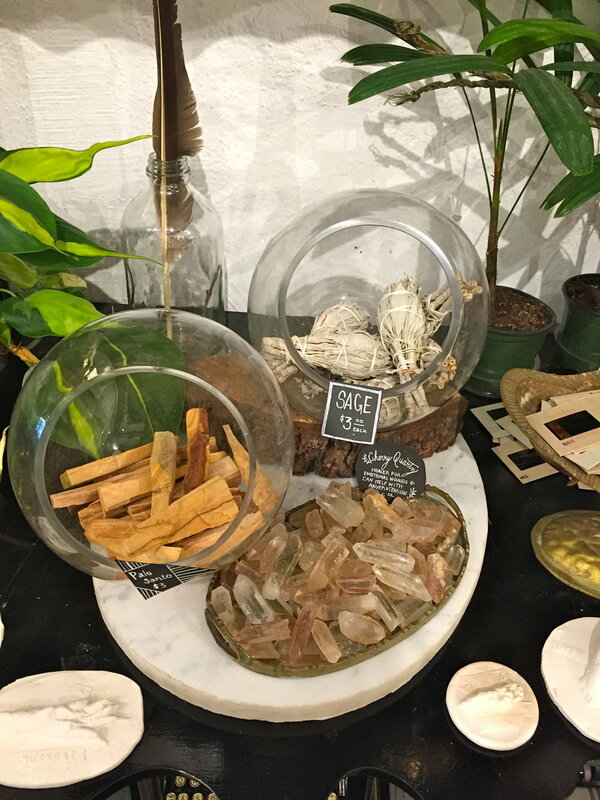 The store that is an eclectic mix of everything yet everything seems to go together perfectly, thats Ironwood Collection. 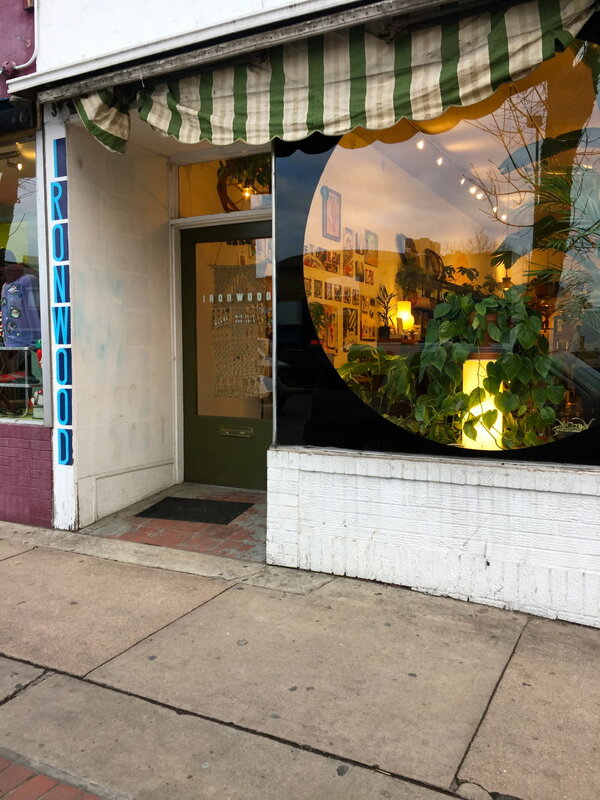 This simple store front on South Broadway carries a collection of local makers + artists goodies that are truly unique + adds so much character to any space. The front window with the black circle adds to the display of the square cinder blocks filled with succulents giving the plants a frame to showcase themselves. 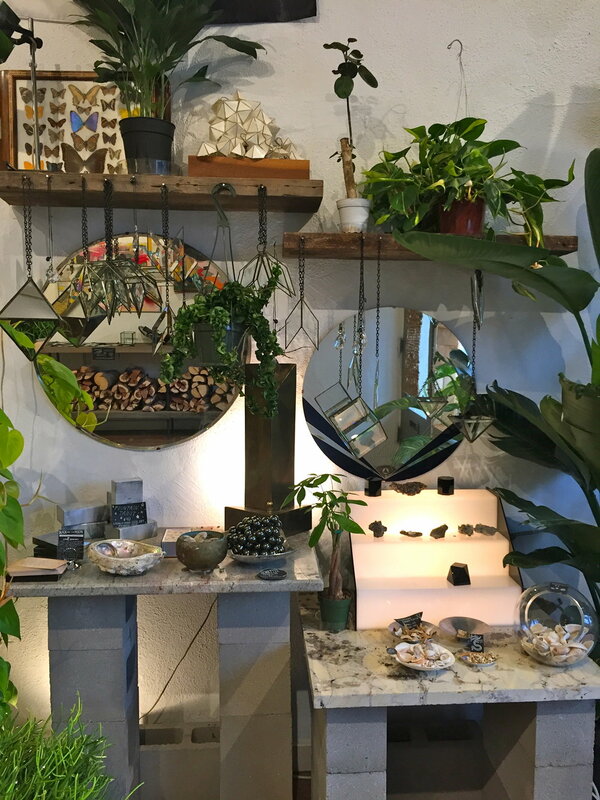 Greenery fills the space throughout in every little corner + on every shelf. 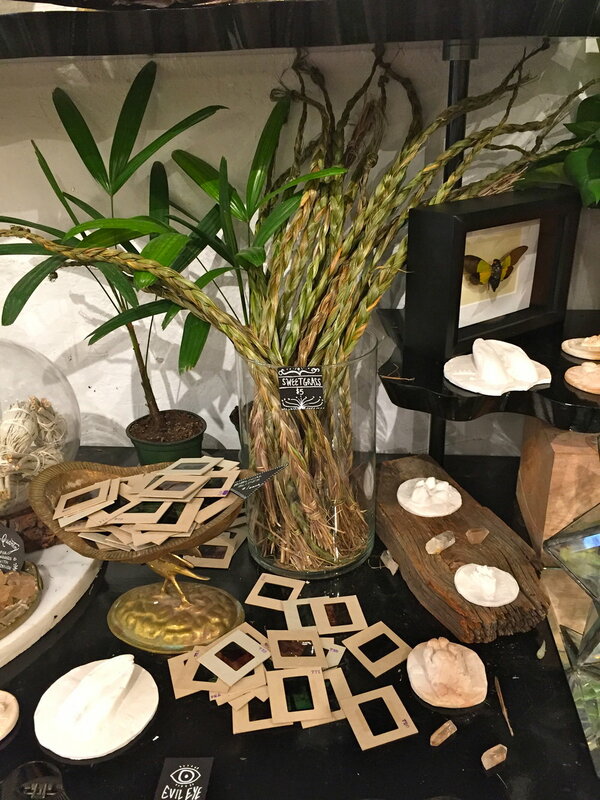 Ironwood Collection is a place to find recycled glass hangings, artwork, sage to burn, my favorite Matthew Jorgensen Stoneware or even an old typewriter, make sure to stop by when you are on South Broadway + find just what you have been looking for.